Drawing software are the best tools available for an artist to draw images and drawings with ease and flexibility. They allow creating fliers, graphics, layouts, logos and website icons. They come with plenty of features and drawing and painting tools that enable one to perform professional graphics and animations. To know more about these drawing software one can search Google using “drawing software free download”, “cartoon drawing software”, “drawing software online” or “drawing software for kids”. 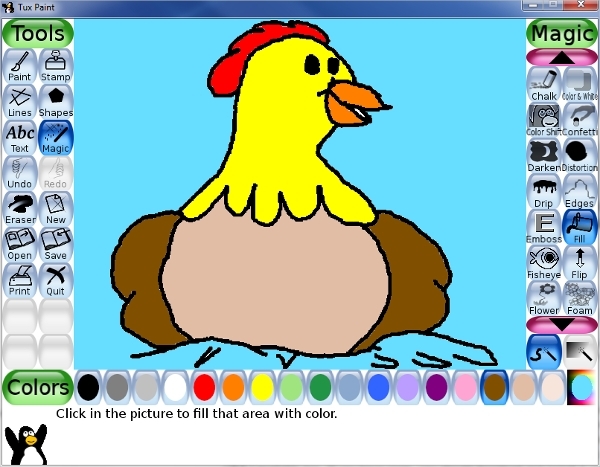 Tux Paint is drawing software especially for kids. It comes with many useful drawing tools and makes drawing fun and easy for kids. It comes with amusing interface and plays fun sounds when performing drawing. It comes with on-screen keyboard and mouse pointer control through keyboard or joystick. It allows entering different languages characters. 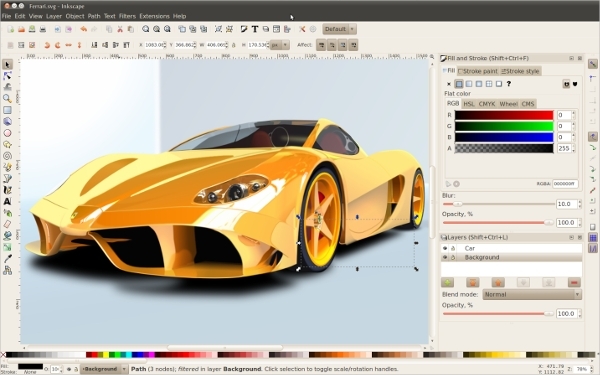 Inkscape is powerful and flexible design tool and comes with plenty of features. It comes with a lot of object creation, and manipulation tools like shape tools, embedded bitmaps, clones, transformations and many more. It comes with text manipulation support and rendering features. It supports SVG file format generation and editing. 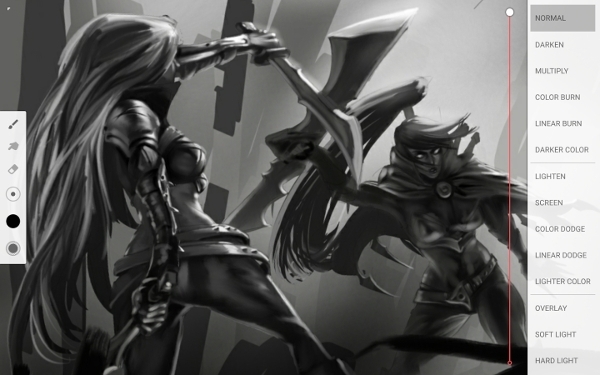 Krita is a sketching and painting program suitable for novice and professional artists. It comes with many usual and innovative features. It comes with easy to understand interface and allows customizing workflow. It comes with unique brush engines allows easy creation of textures and patterns. It comes with flexible color palette panel. Mischief is powerful and creative tool for artists. It allows creating stunning works and comes with many innovative features. It comes with panel based user interface to allocate elements around the screen. It comes with multi-touch support and bigger canvas area which can be zoomed. It helps artists to come with brainstorming ideas. Drawing software comes in many varieties and is available for various platforms like Windows, Mac Os and Android. These software is platform dependent and therefore one should look for platform compatibility before downloading them. Presented below are the features of these software for each platform individually to know more about them. 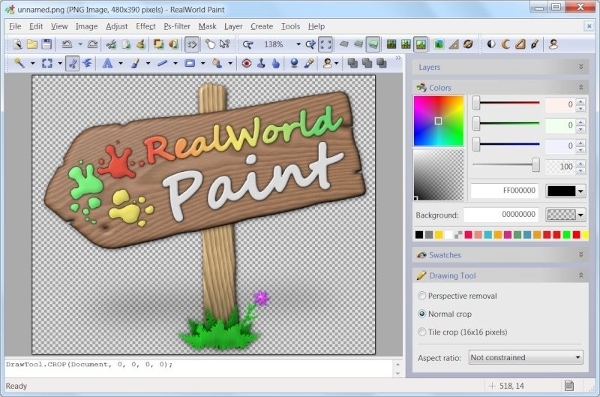 RealWorld Paint is excellent drawing software which comes with various features and tools. It allows designing pictures, fine tune photos and animation pictures. It comes with many classic layers and styles. It allows changing colors and shapes for layers. It allows easy editing photographs like resizing, drawing borders and cropping. 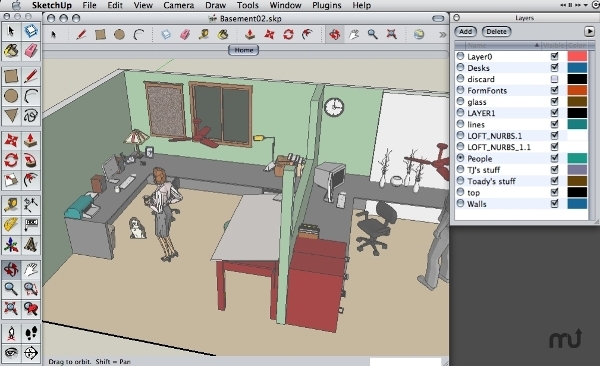 SketchUp is 3D modeling software which comes with tremendous functions. It helps drawing shapes, lines, house models and space ships. It comes with enhanced tools and latest parallel and perpendicular inferences. It comes with add-on tools which enable drawing any kind of modeling. It comes with customizable utility trays and support high DPI graphics. Infinite Painter comes with advanced painting engine for Android application. It comes with more than eighty natural brush presets and allows creating new brushes as well changing brush settings. It comes with excellent tools and allows creating organized workflows. It allows transforming multiple layers concurrently and rotating and flipping the canvas. For windows some of the drawing software is “Edraw Max”, “KidsPainter”, “Baby Paint”, and “PaintTool SAI”. For Mac Os some of the drawing software is “Capture Me”, “GIMP”, “Skitch”, ‘EazyDraw”, “Intaglio”, “Lineform” and “Canvas Draw”. 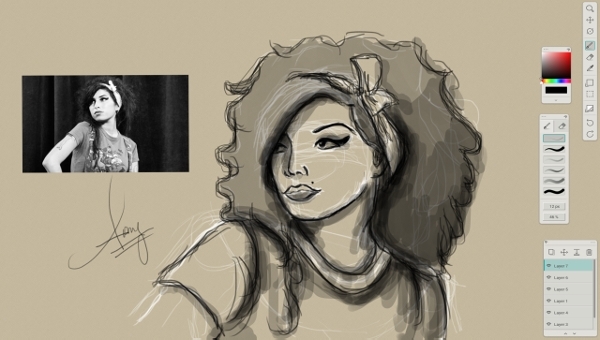 “Sketch”, “Draw and Paint”, “ArtRage” and “ArtFlow” are some of the drawing software for android application. 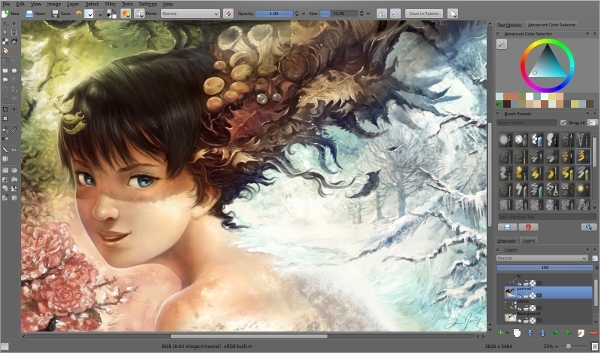 Artboard is simple yet powerful drawing software which comes with smart drawing tools. It allows creating lines and allows adjusting colors and widths. It allows creating styles and cloning them too. It allows adding texture and pattern for shapes. It comes with plenty of attractive and well designed templates. It allows importing or dragging and dropping images to the artwork. Drawing software is a tool for an aspiring artist to draw professional looking arts and graphics. They allow creating layers and vector images easily. They allow them to resize, crop and fill the shapes. They come with powerful brush panel which allows adding new brushes or changing existing brush settings. They come with varieties of templates and help one to make best use of them. They allow exporting images to various file formats. To know more about these software varieties one can search Google using “engineering drawing software”, “drawing software for mac”, “drawing software for pc” or “technical drawing software”. How to Install Drawing Software? One can install the drawing software with the help of installation instructions provided along with the software downloads. The instructions are generally quite easy to understand and follow. One should check for hardware and software requirements which are mentioned in the software website before installing the software in their system. Drawing software help to fine tune texts, images and add paragraph styles. They come with varieties of tools to create professional and elegant graphics. They are most helpful for technical drawing purposes and web designers. They can perform vector drawing without any limitations and allow dragging and dropping from a reference drawing to the design work in progress. They offer interesting and advanced tools which help to alter the borders of the shapes and their sharpness. They help to design maps, cards, posters and many more art works. They allow creating new shapes and allow cloning them. They provide huge canvas area to draw pictures easily.